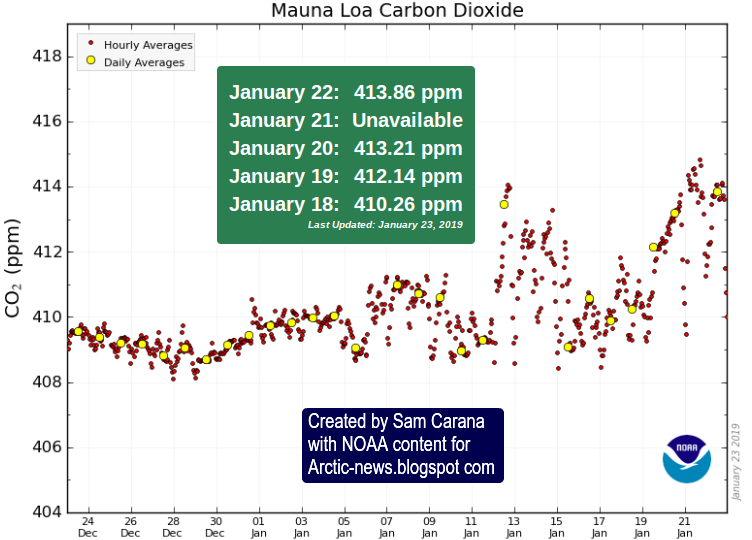 Accelerating increase of carbon dioxide in the atmosphere – On the way to 10°C? 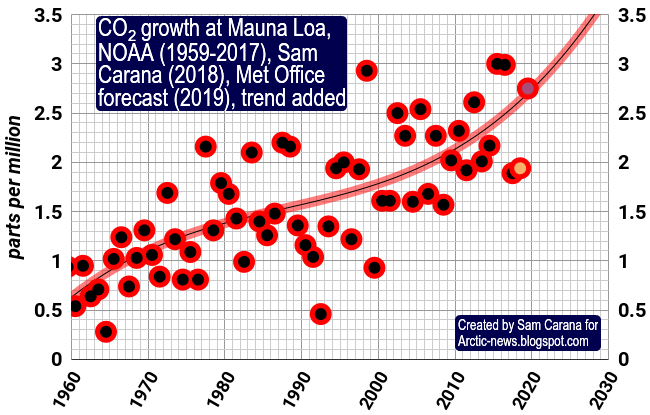 Devastating new research released today indicating we may already be heading for 10°C increase in temperature above pre-industrial levels. This would entail a complete breakdown of the biosphere and the extinction of 99% of species on the planet – including humans. 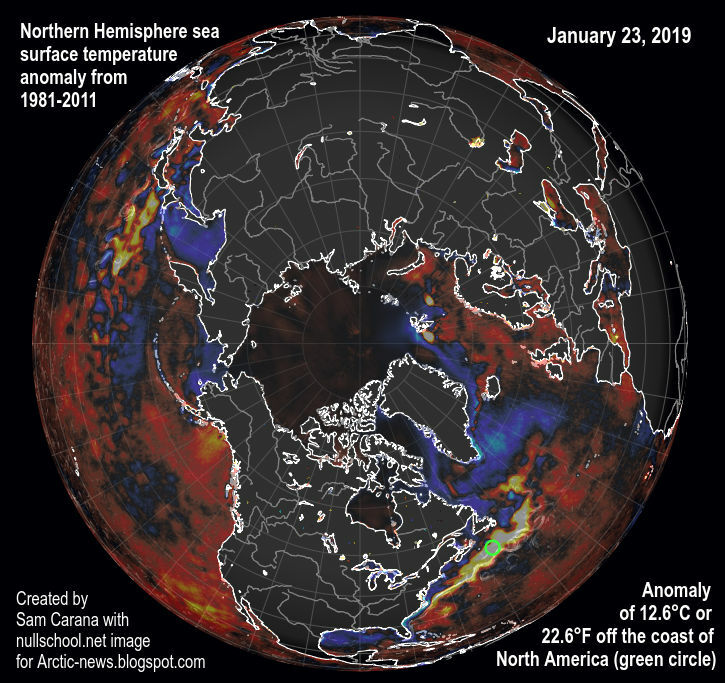 The Gulf Stream carries ocean heat to the Arctic Ocean and it can take a couple of months for this heat to reach the Arctic Ocean and contribute to melting of the sea ice. As the temperature difference between the North Pole and the Equator narrows, the jet streams become wavier, allowing more heat to enter the Arctic. Furthermore, rivers that end in North America and Siberia can be expected to carry much warm water into the Arctic Ocean. With sea ice at a low, it won’t be able to act as a buffer to absorb heat for long. The joint impact of all this is terrifying. 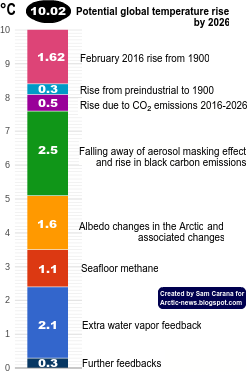 Ocean heat may reach sediments at the seafloor of the Arctic Ocean and destabilize hydrates, resulting in eruptions of huge amounts of methane. This alone can cause a global temperature rise of 1.1°C in a matter of years. ← Praxis for Lost Worlds?